What’s a dive bar? 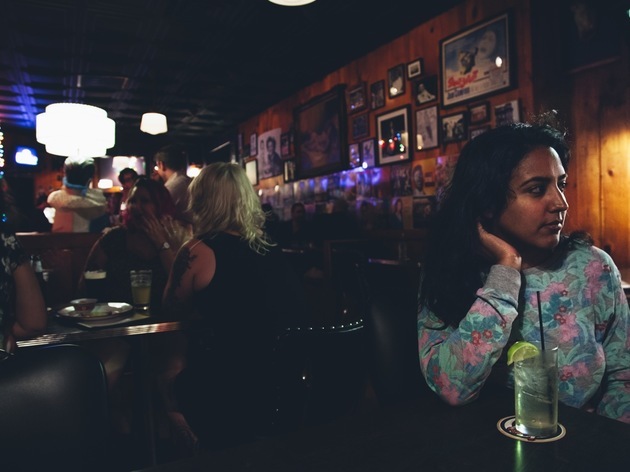 Some are scary and seemingly populated by people who never leave the dark; some are simply nice neighborhood bars that haven’t been updated—ever, apparently; some are modern versions with good food and craft beers; some are eclectic, shabby-chic haunts. But all dive bars are places where you can come as you are, relax, and not worry about a big bar tab. In return, customers take these bars as they are: gruff service, messy bathrooms, etc. 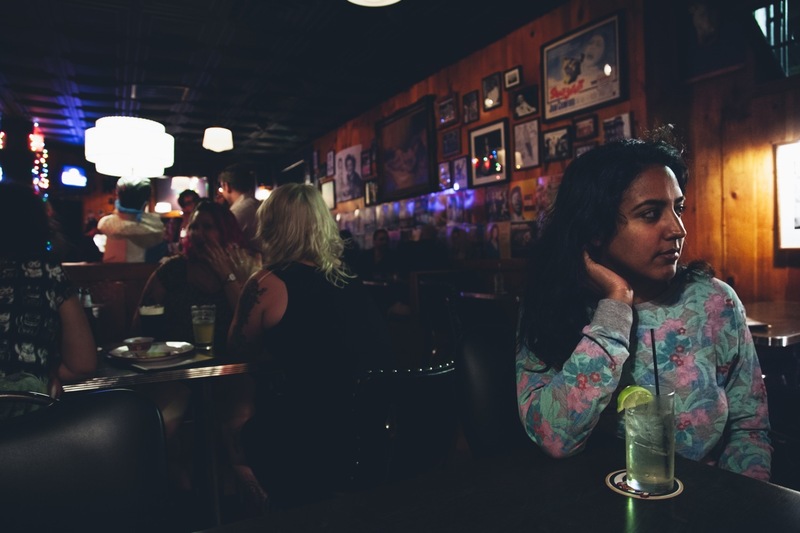 Really, if there’s one rule to follow in a dive bar, it’s keep your complaints to yourself. 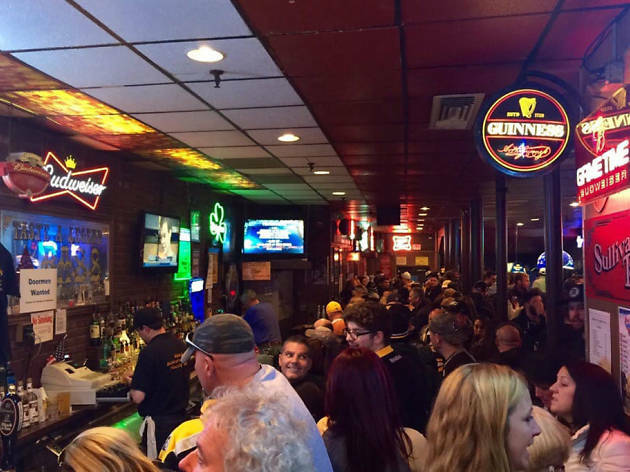 Dive bars pair perfectly with a night at one of the best music venues in Boston, best comedy clubs in Boston, or best sports bars in Boston. 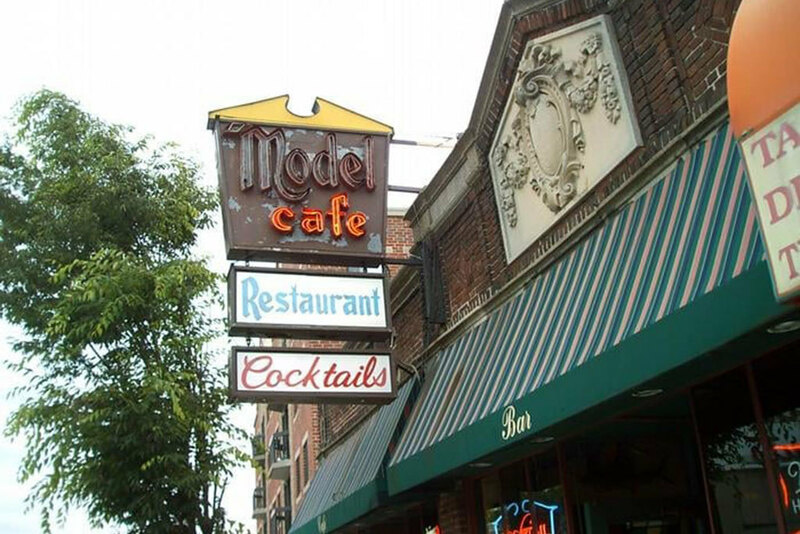 The Model Café—which is a bar, not a café—is a family-owned joint with vintage fittings and unpretentious service. It’s a no-frills kind of place, but attractive, and with reasonably priced hooch that doesn’t try to be anything other than booze. It became the meet-up for Allston and beyond’s rock community, and the college crowd, too. It became hip. A scene. None of which has gone to its head. The sidewalk smokers outside are almost as much a thing as hanging out inside. There’s a jukebox, sometimes there are DJs and other events. 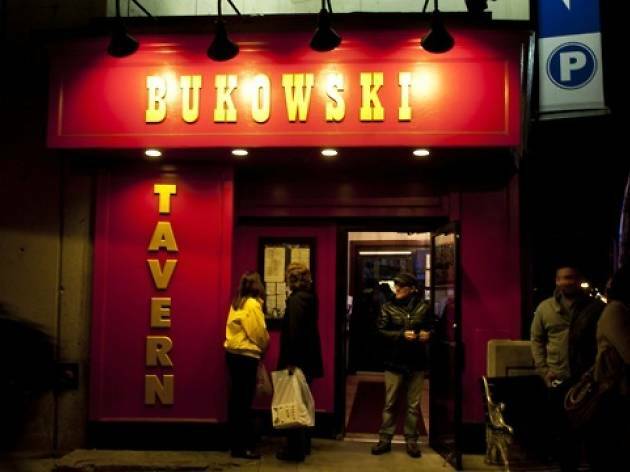 It’s simply a place to let go, even the bit about being hip, and drink. Where in the Back Bay can you truly relax and not worry that you could easily spend your paycheck in a night out? 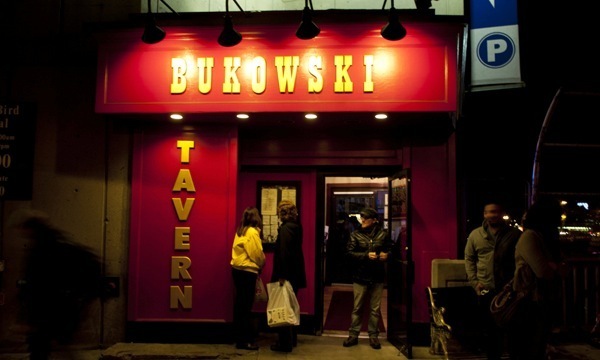 Bukowski’s, of course. It’s cramped, crowded, noisy, and just a tad shabby, but it’s the place to drink good beer at (mostly) reasonable prices. The kitchen stays open late—until 1:30am on weekends—and there are some solid food deals. Note: the bar serves just beer, wine, and food, and is cash only. 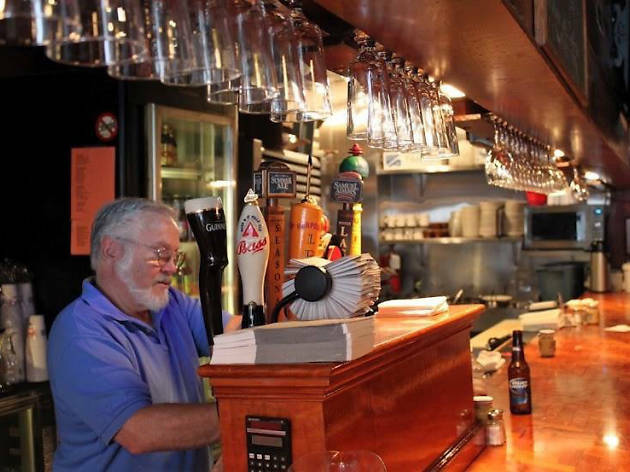 Though often crowded, this unpretentious little Beacon Hill pub is a good spot to seek respite from a hard day of relentless sightseeing or antiques-hunting. The Sevens provides some welcome knuckle and grit to the relative daintiness of the area. Find a booth in the corner, settle down with a Guinness or a Bass and you might find the Freedom Trail ends right here. 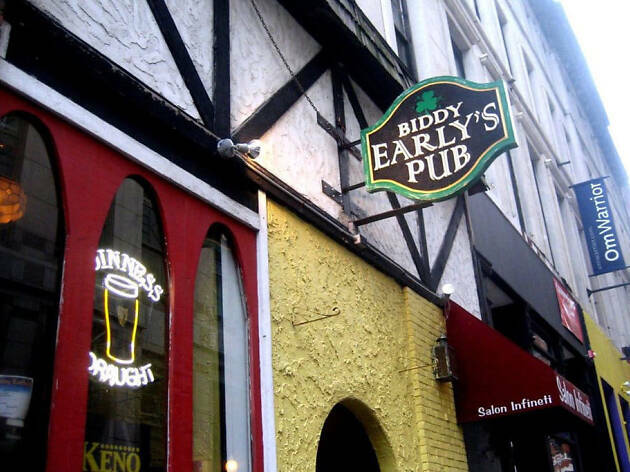 Contrary to what some might think, not all Irish bars are dive bars. Nor do they intend to be so. 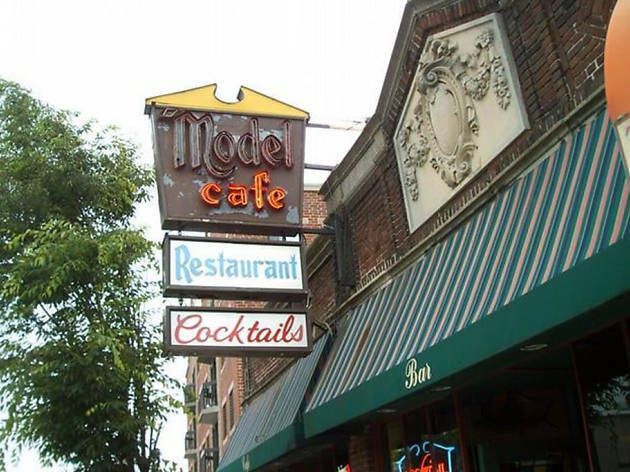 It takes a special something, an attitude, and this Davis Square mainstay has that no-nonsense atmosphere. Certainly, there are drinkers who swear by the Guinness and Jameson’s. Others go for the cheap ‘Gansett and PBR. Good beer friendly classic rock plays on the jukebox. 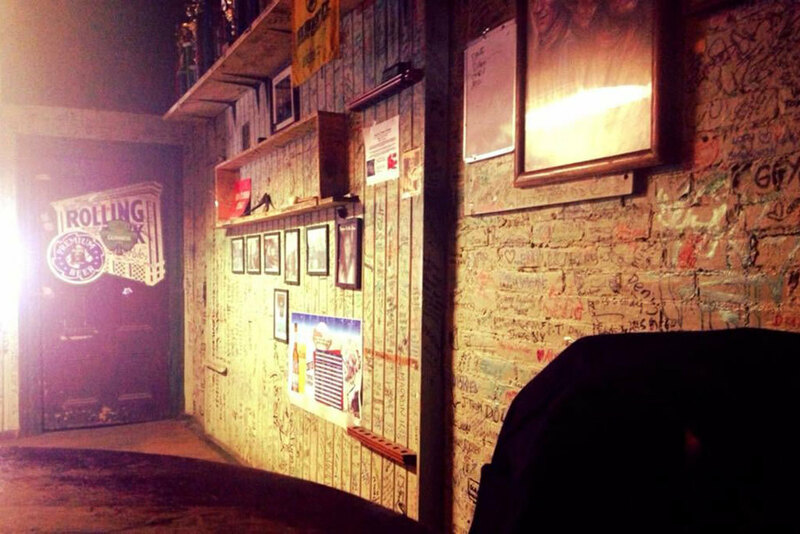 The bar is etched with bon mots and declarations, each carved into its top over the years; scribbling while drinking is encouraged. 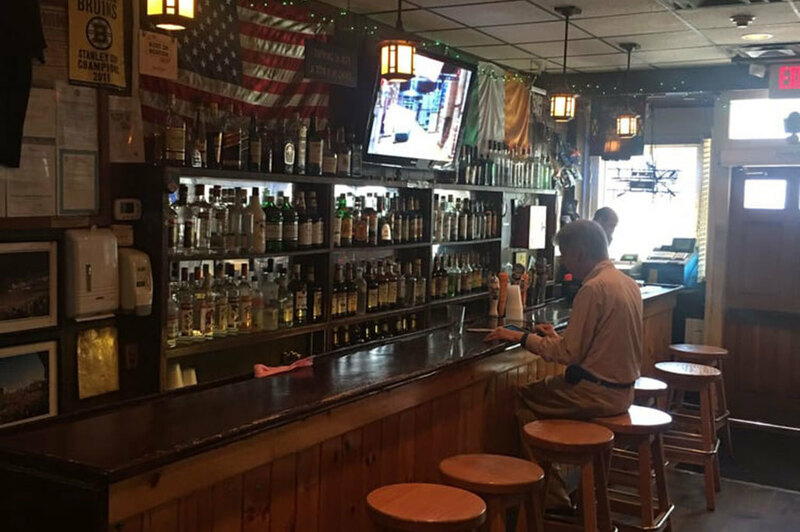 There’s been a bar at the corner of Clarendon and Chandler Streets in the South End for over 50 years, and for around three decades the Delux Café has commanded that spot. The current “seasonal” and rock-and-roll look has been in place since the early 1990s: year-round Christmas lights and tinsel, and the owner’s album collection decorate the place. 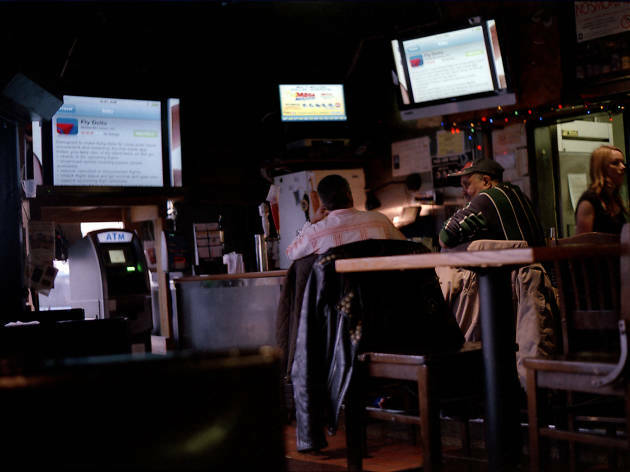 While most flock to the South End for a nice dinner or some culture, the Delux draws dive bar aficionados and locals who want a cheap meal. Low-priced however doesn’t mean low-rent, the menu includes lots of specials for the regulars who eat here several times a week. What doesn’t change is the ambiance and the décor, because that’s why people come back: for more of the same. 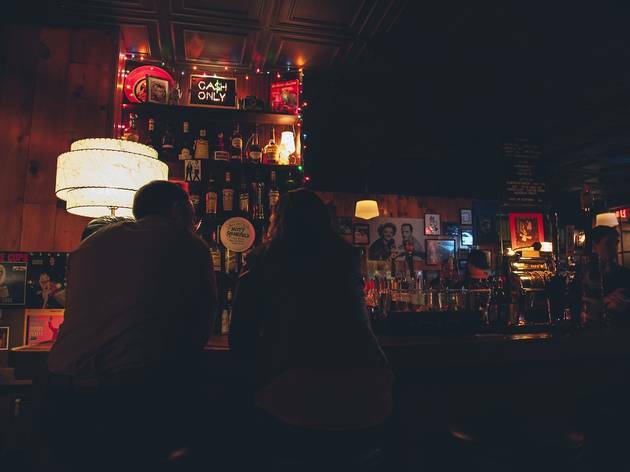 The Silhouette is yet another vintage, fabulously retro Allston bar, one that is usually packed late-night, especially on weekends. 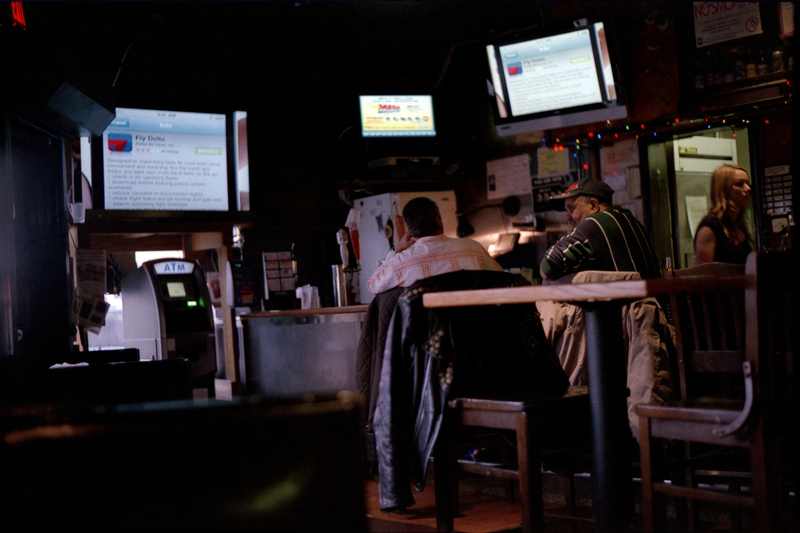 Some older locals still call it their local, despite all the hip kids and students lured by the cheap drinks. 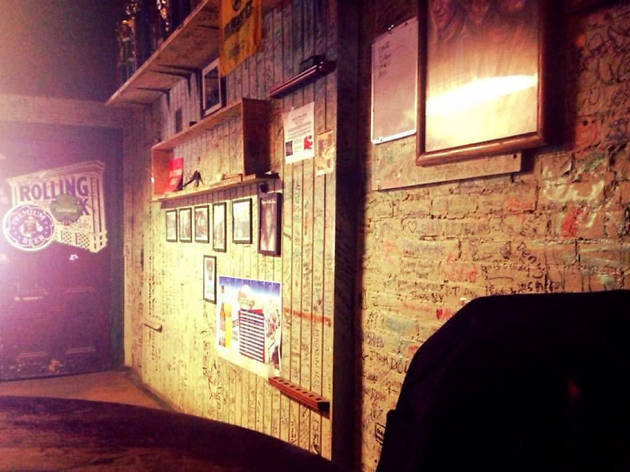 There are entertainment options such as darts and pool, and a jukebox filled with fist-pumping rock staples. 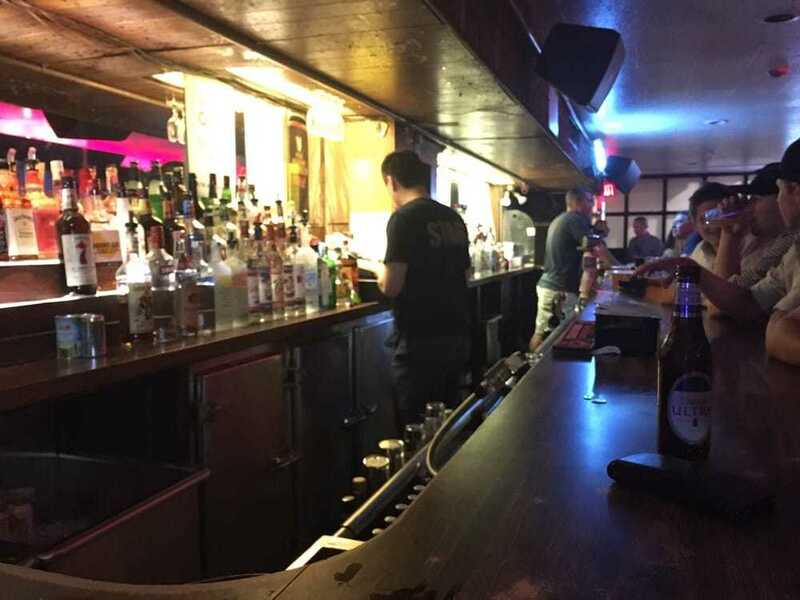 That the bar has no desire to be trendy is a huge part of its appeal, but The Silhouette also draws because it is among the last vestiges of a disappearing 20th century American bar scene. 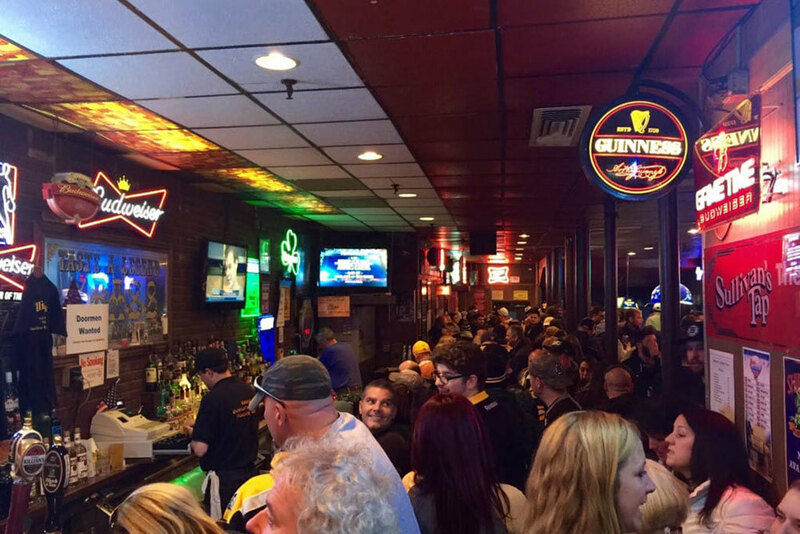 The Lower Depths makes the list because it is cheap, near Fenway Park, and has solid food and beer options. 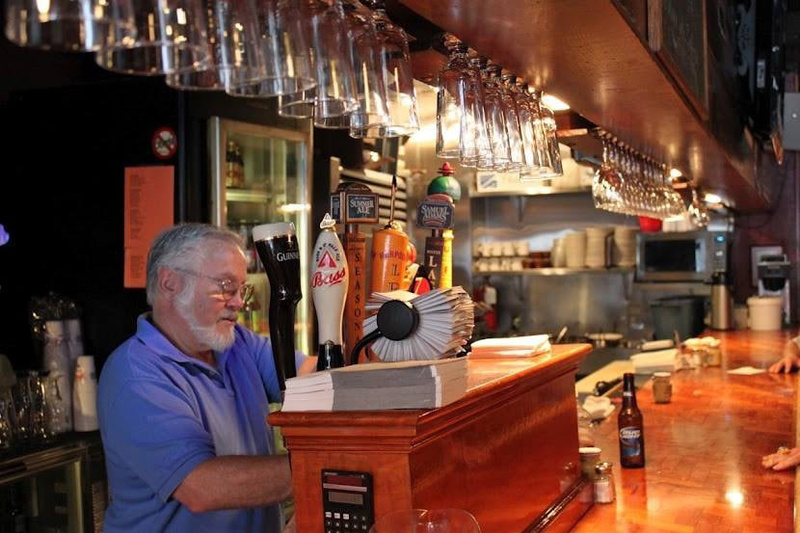 The bar boats up to 180 bottled and canned brews and at least 16 rotating drafts, plus wine. (No spirits and no Bud.) There are regular beer socials, hosted by different breweries. The kitchen is open nightly until 12:30am, offering a menu where tater tots and tacos are a specialty. Note: Lower Depths is cash only. 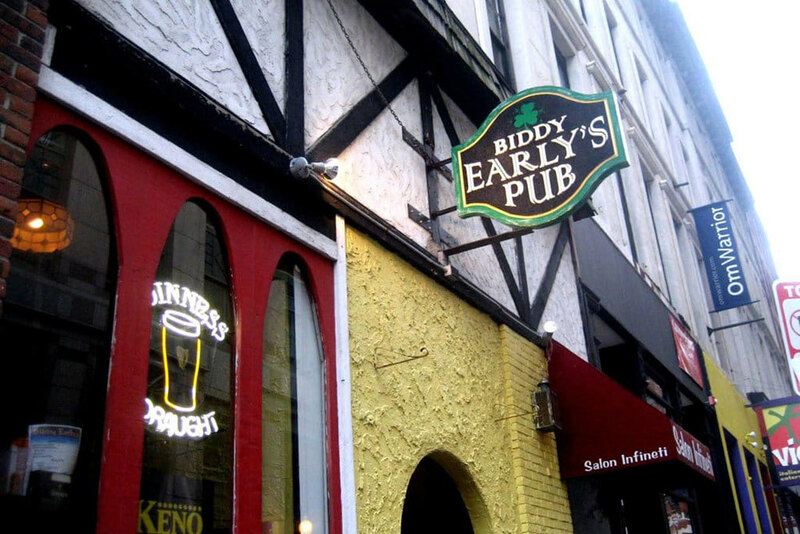 Unlike many a drinking spot in the Financial District, Biddy’s isn’t closed or empty at the weekend. Nor does it bring in a DJ to draw a crowd on a Saturday night. 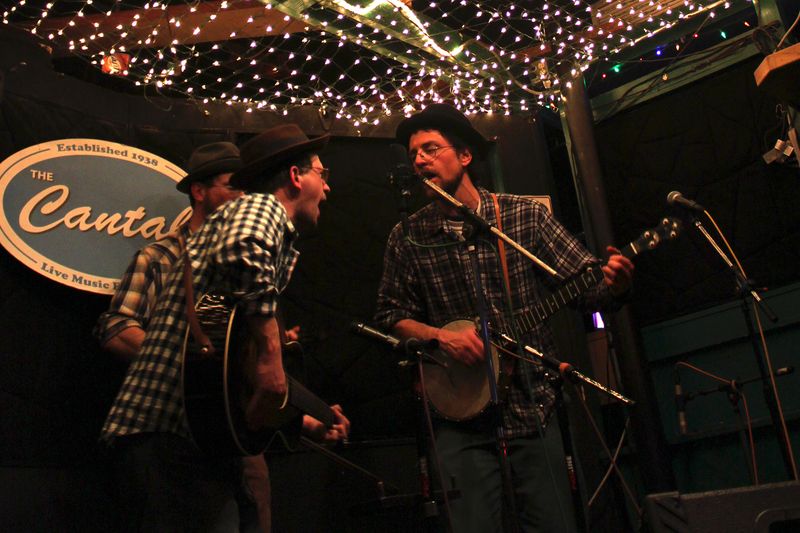 In fact, the weekends are a riot of all-day drinking in an utter and absolute dive bar atmosphere. It ticks all the boxes to qualify, right down to toilets that are basic at best, and a horror show later. Play Keno, play the jukebox, eat cheap food, and after a few similarly low-priced beers get to wondering just who is Biddy Early. She was a healer and herbalist_one who was accused of witchcraft—whose fourth husband was an alcoholic who died and left her penniless. Maybe, then, don’t ask who is Biddy Early? There can’t be a Harvard student who didn’t spend a night at Charlie’s Kitchen. Seriously, ask Mark Zuckerberg or George Bush next time you bump into them. 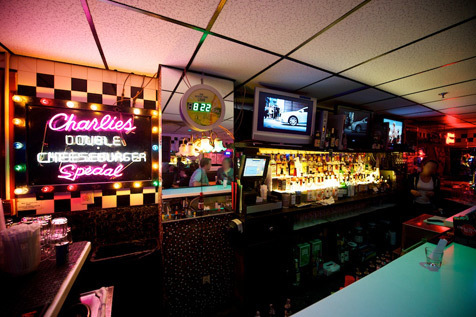 Charlie’s is an institution, one that delivers cheap eats, but don’t expect too much in the culinary greatness stakes. A visit is more likely to be about cheap drinks and a no-frills atmosphere. Upstairs is where the main bar action happens: there’s a jukebox and there are live bands most Monday nights, when there is a low cover charge. 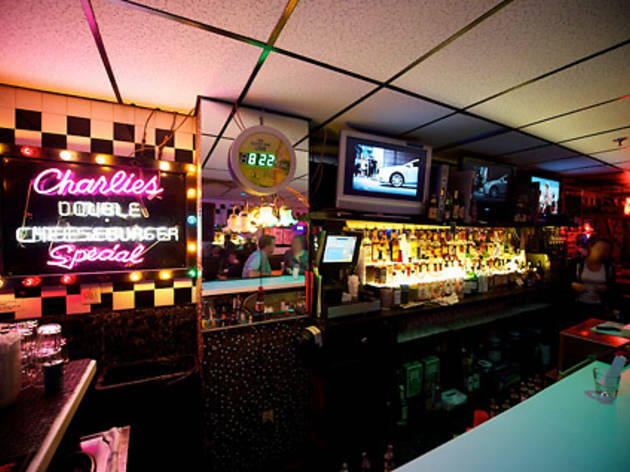 Now that Charlie’s has a big beer garden, does it qualify as a dive bar? In Cambridge’s best-known neighborhood, this is about as close as you’ll get. 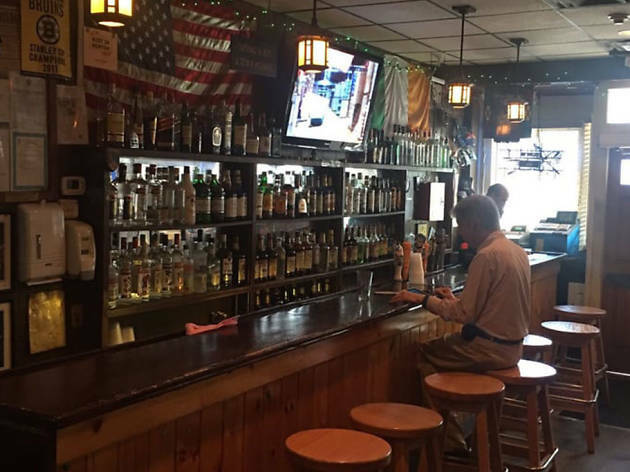 This Southie bar bills itself as “Whitey’s” in honor of local fixture Whitey McGrail. McGrail was shot inside Croke Park and is tenderly memorialized in its name. Croke Park is bit of a walk on the wilder side, but accessible in that it’s not far from the Broadway MBTA. There’s free pool, but no food on site. Customers can choose from the many local food joints and bring it in to eat with your cheap, strong drinks. 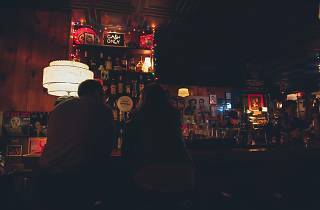 The Cantab is a wonderful neighborhood joint, and while it’s more bohemian than totally divey, really, its reasonable pricing, unwillingness to change, and lack of pretension are qualities worth celebrating. 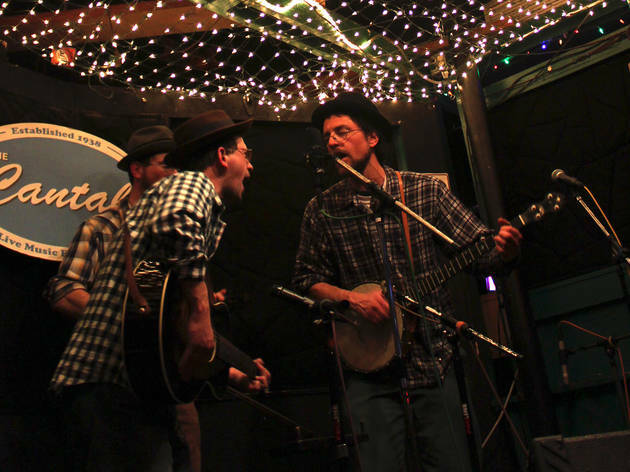 The Cantab is known for its bluegrass jams and other musical entertainment, from funk to folk. The Cantab has some celebrity cachet in the fact that Ben and Casey Affleck’s father tended bar at one point. It is not, however, a celeb hot spot, far from it: the clientele includes plenty of slumming students from MIT and Harvard, local after-workers of all type, and staunch Cantabrigians of a certain boho type. The Cantab’s survival amongst Cambridge’s high cost real estate is, as any barfly knows, an attribute worth drinking to. The debate rages on as to whether the understated Beacon Hill Pub, perched at the end of posh Charles Street, is a legitimate dive bar (sort of an inverted diamond in the rough) or a reservoir for high-earning post-grads who haven't managed to let go of their devotion to cheap light beers. Who cares? With not a frill to be found, but plenty of seats and cheap drinks, it's the perfect spot for much more interesting arguments. If you’re not sporting a Bruins jersey, you’re not doing it right. Sully’s harkens back to an earlier era when the T was still above ground and the original Garden had no AC. According to its own slogan, this narrow throwback is “Where Real Fans Meet” for pool, pop-a-shot hoops, throwback arcade games and—most of all—cheap drinks before, during, and after the game.